At the Launchpad EPIC, Leonard gave a lightning talk indicating that we should use the latest version of launchpadlib as it contains some performance improvements. As a heavy user of the API, I followed up with him and discovered that these performance improvements are only available in the Maverick version of the package which doesn’t help everyone. He gave me a set of patches, which really affect python-lazr.restfulclient, that contained the fixes so I could work on getting them in Lucid. With the upcoming point release of Lucid it won’t be possible to get the new package in -updates right away. Subsequently, I’ve created made the package available in my PPA. If you are using python-launchpadlib a lot I recommend using the updated lazr.restfulclient. If you have any issues with the package please comment on the SRU bug. 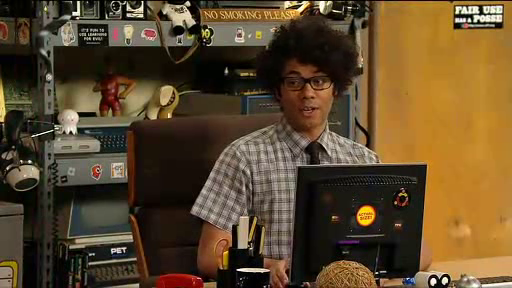 The 4th series of The IT Crowd has started and I’m happy to see that Roy and Moss still support Ubuntu. My wife noticed a second logo in the episode but I’ll leave that as an exercise for you.